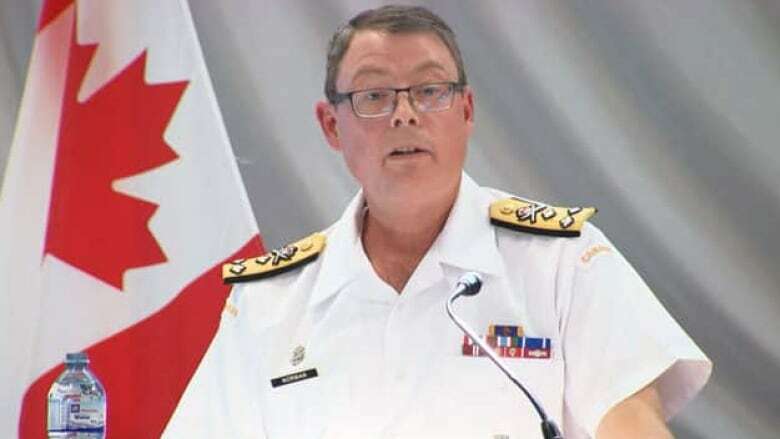 Prime Minister Justin Trudeau says the police investigation into Vice-Admiral Mark Norman will "inevitably" lead to "court processes," even though the military's second-highest ranked officer has not yet been charged with any crime. The prime minister made the comments at one of the prime minister's townhall meetings in Edmonton on Thursday, after one audience member characterized the year-long RCMP investigation of Norman as a "witch hunt." Court documents show the Mounties suspect Norman leaked cabinet secrets to a Quebec shipyard in November 2015 over fears the Liberals would cancel a key shipbuilding project. Norman was suspended from his position as the vice chief of defence staff in January 2017, but he has not been charged with any crime and Norman's lawyer has denied her client did anything wrong. Trudeau did not elaborate on why he believes the case will end up in court, despite the RCMP having yet to lay charges, but did say the protection of cabinet secrets is extremely important. The prime minister also predicted last April that Norman's case would end up in court, leading to accusations from the Official opposition Conservatives of political interference in the case.